Many industrial tasks cannot be executed by a robot alone. A way to help workers in order to decrease the risk of musculoskeletal disorders is to assist them with a collaborative robot. Yet assessing its usefulness to the worker remains costly because it usually requires a prototype. We propose a dynamic simulation framework to model the performing of a task jointly by a virtual manikin and a robot. It allows to measure physical quantities in order to perform an ergonomic assessment of the robot. Experiments are carried out on two different robots. 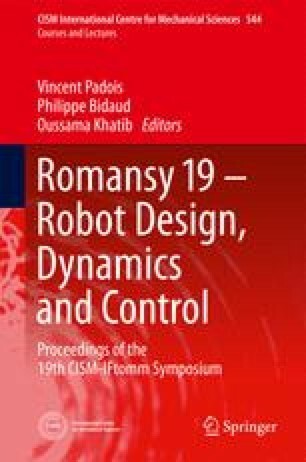 The results show that the proposed simulation framework is helpful for designing collaborative robots. Further work includes enhancing the simulation realism and validation on a real robot.